Do you follow a low FODMAP diet? If so, be prepared for the inevitable… You’ll have to explain yourself at some stage at a party or social event. This can quickly become tedious and frustrating – even embarrassing – but it doesn’t have to be. Use this simple explanation to avoid anymore awkward and confused looks from your friends and family. 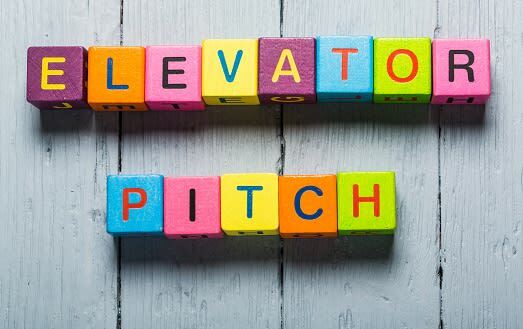 Ever heard of an elevator pitch? In business terms it’s a short, persuasive statement you use to explain what your company does. The idea is that you can easily say it in the brief time you’d be standing in an elevator with someone who asks. 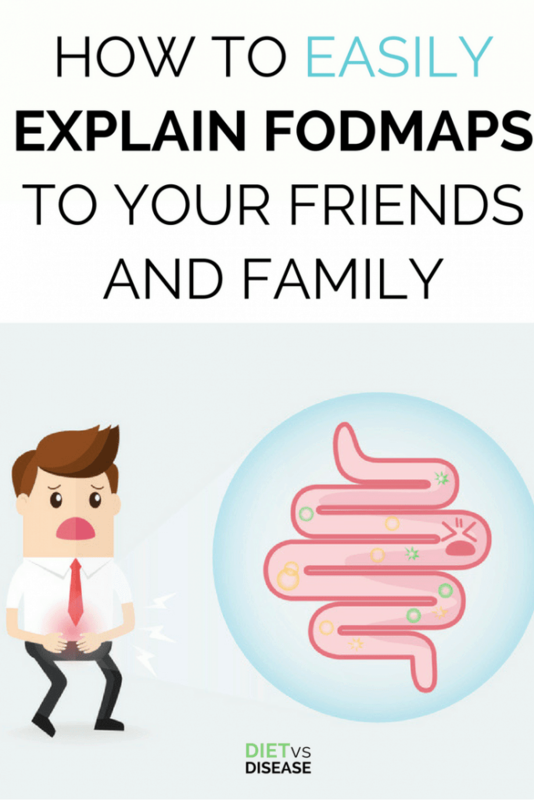 Likewise, a quick and easy explanation of FODMAPs and why you’re on a low FODMAP diet is especially useful at social events. I call it the FODMAP elevator explanation. In fact, chances are there’s someone else in the room experiencing the same issues as you who just started learning about IBS and FODMAPs. Using the FODMAP elevator explanation opens up a non-judgemental dialogue where you’ll now be able to help others too. Following a low FODMAP diet doesn’t have to be socially awkward. Equip yourself with that FODMAP elevator explanation and be prepared to navigate all those inevitable situations. 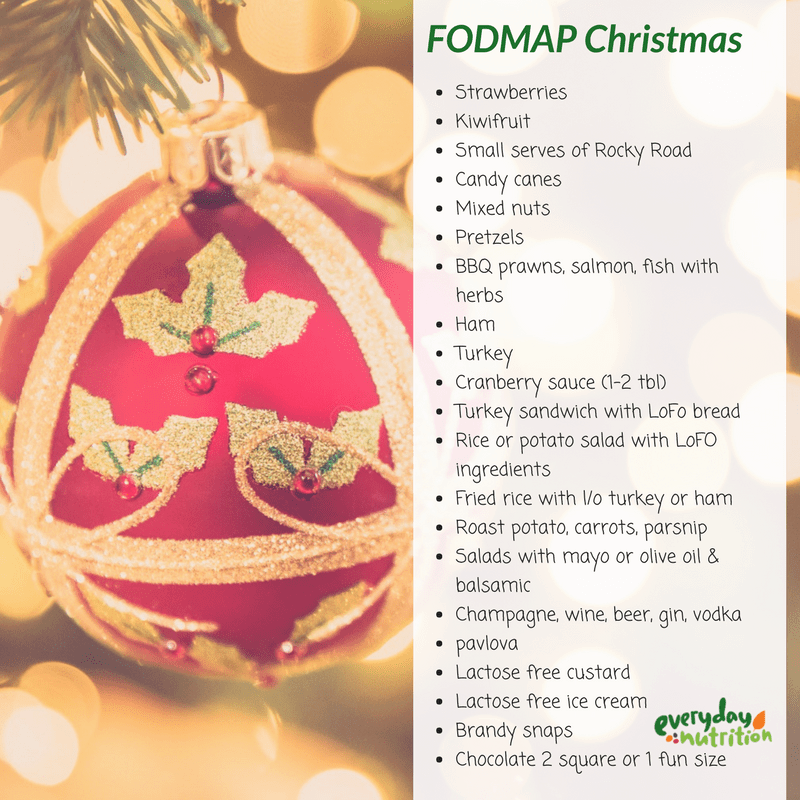 It’s also worth learning what common Christmas foods are low FODMAP so you won’t be left feeling miserable during the holidays. And if you’re looking for additional tips or low FODMAP Christmas recipes, I recommend Alana’s guide. Lastly, if the FODMAP elevator explanation sounds too complicated to remember, just show them this article! Ready to start the FODMAP diet? 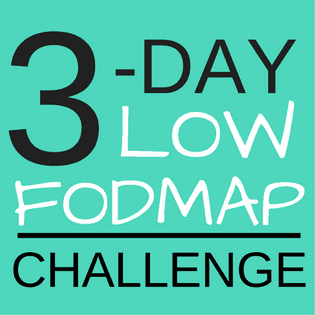 Click below to join my 3-Day Low FODMAP Challenge, beginning January 8th! This diet works for me! Been following it for 5years or so. Amazing the difference it makes from suffering for years with bloating/pain/anxiety. Try it! Hi Karen, thanks for your comment. Glad to hear it’s working well for you ! I’ve heard you’re not supposed to follow this long-term. 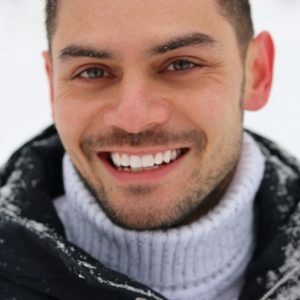 I was diagnosed with IBS-C in November 2017. 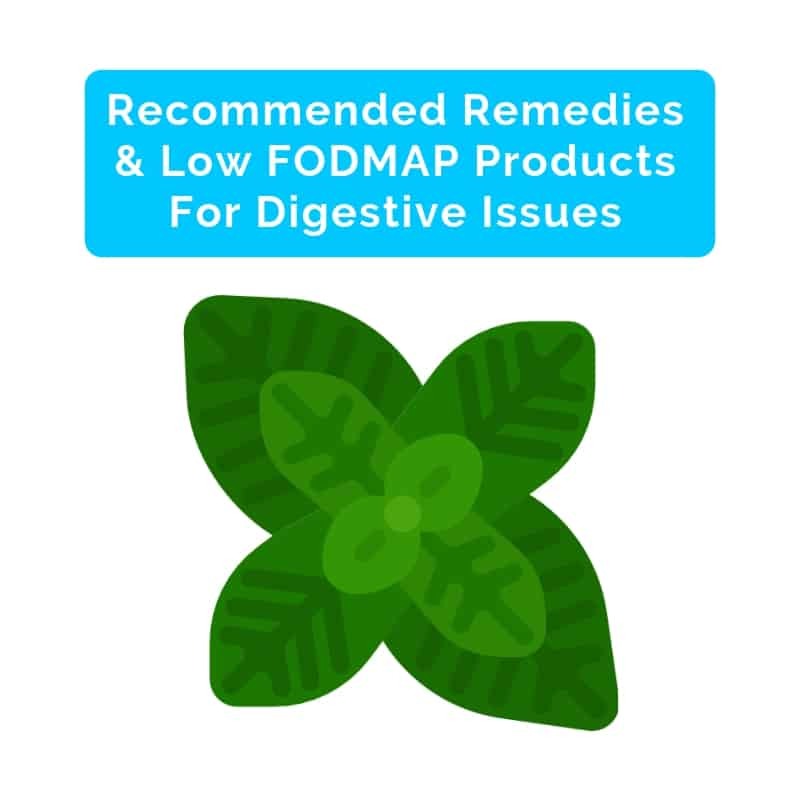 Since then, I have been following FODMAP and it has helped enormously. I also regularly see a nutritionist, who is helping me with the challenges, the ups and downs and also my health in general. I have gained a substantial amount of weight over the last year or so. 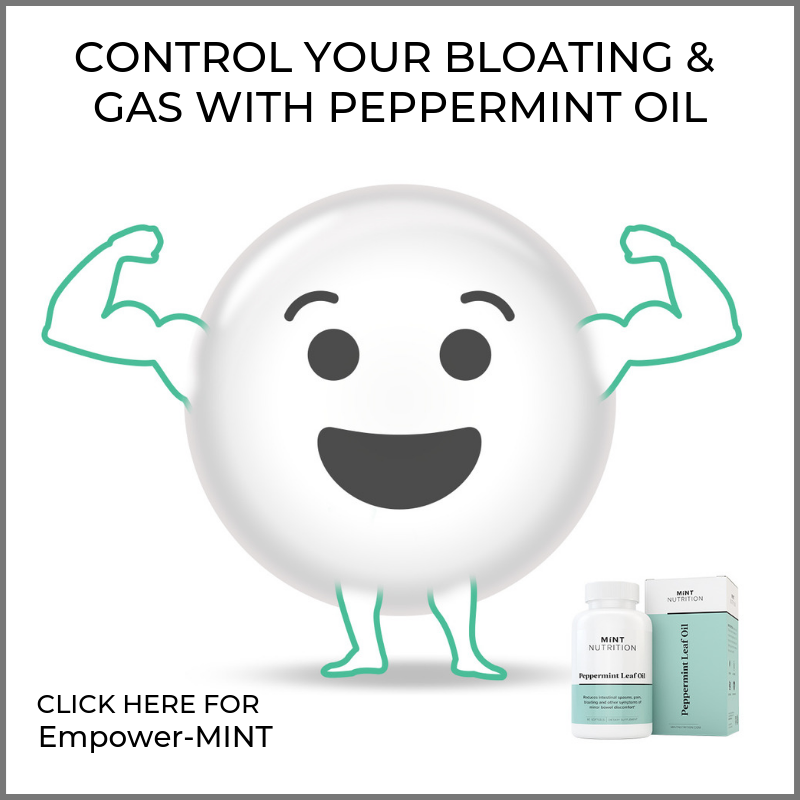 The first step has been to bring down the inflammation in my intestine (severe bloating, gas and overall lethargy) which has much improved since following the low FODMAP diet. My next step is to start the integration stage and to get more active. Yoga seems to be very helpful. My stress levels have been quite high, which also affects flare-ups. Working on that too. But all in all, the low FODMAP lifestyle, if followed religiously, will change your life. i suffered for 40+ years with mild IBS and severe GERD. don’t need Fodmaps, all i needed was 200 mg Apple Cider Vinegar tablets from Swanson. (drinking acv irritates the lining) i tak\e one every morning, no problems. 6 years now! Hi Mo, good on you! Glad you found something that works for you! I appreciate your elevator explanation, but I personally would say “natural sugars.” Generally, when I tell people I can’t digest certain sugars in foods, they say, “oh, but this doesn’t have ANY sugar in it.” Then I have to re-explain that I’m not sensitive to table sugar, just the “natural” sugar in the food already. By then they’ve lost interest, of course, which is also fine. I agree Shoshana, I just say “carbohydrates” in certain foods, not necessarily the ones you would expect (like mushrooms, etc)! I have IBS but I also have scleraderma which no one knows how much it interferes with the Fod Map diet. additional suggestions. I have had cramping for 3 years plus. Any suggestions. I also have Sojgren’s. I sometimes find it difficult because I am vegan and some of the alternatives cause severe bloat and pain.